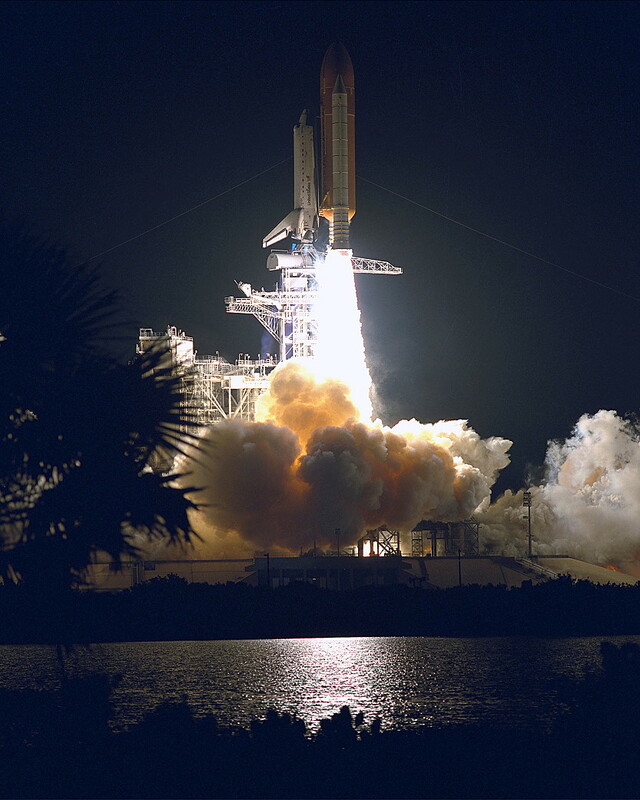 3 February 1995: At 12:22:03.994 a.m., Eastern Standard Time, Space Shuttle Discovery (OV-103) lifted off from Launch Complex 39B at the Kennedy Space Center, Cape Canaveral, Florida. The mission, STS-63, was a rendezvous with the Russian space station, Mir. Commander James Donald Wetherbee, United States Navy, on his second space flight, was the mission commander. 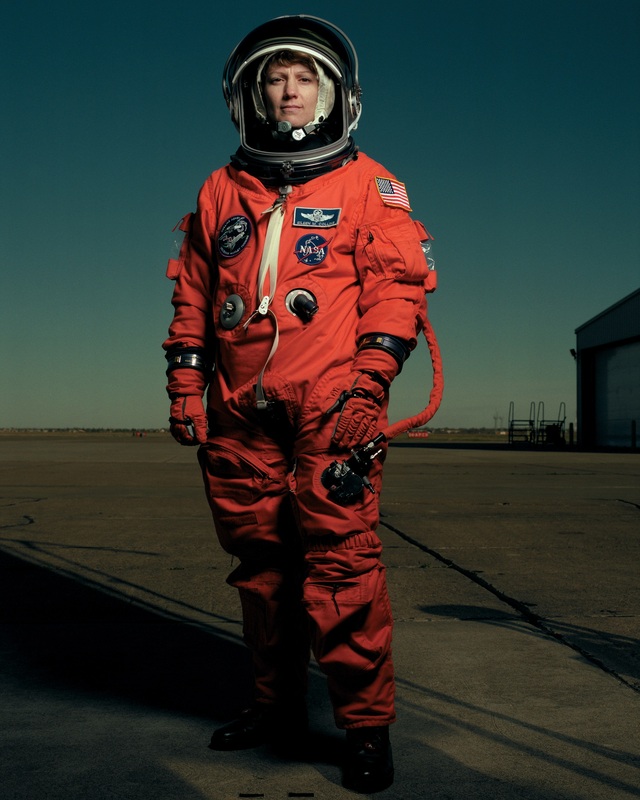 Lieutenant Colonel Eileen Marie Collins, United States Air Force, on her first space flight, was Discovery’s pilot. This was the first time in the NASA Space Shuttle Program that a woman had been assigned as pilot of a space shuttle. Also on board were Mission Specialists Bernard Anthony Harris, Jr., M.D. ; Colin Michael Foale, Ph.D.; Janice Elaine Voss, Sc.D. ; and Colonel Vladimir Georgiyevich Titov, Russian Air Force, of the Roscosmos State Corporation for Space Activities. 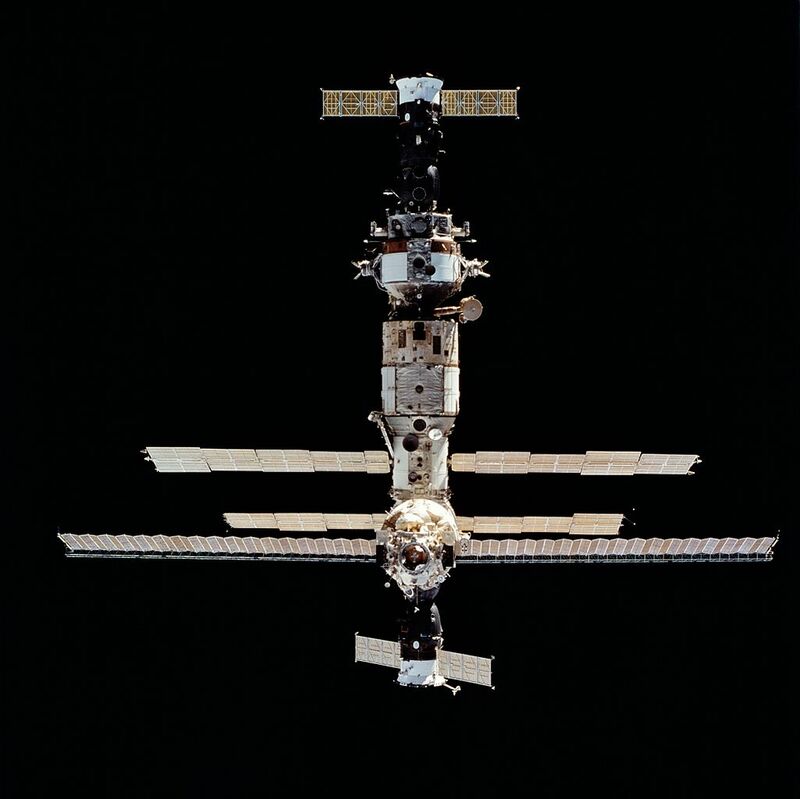 The primary purpose of the mission was to conduct a close approach and fly-around of Mir to demonstrate techniques prior to an actual docking, scheduled for a later flight. A number of scientific experiments and a space walk were carried out by the crew. Discovery landed at the Kennedy Space Shuttle Landing Facility at 11:50:19 UTC, 11 February, after completing 129 orbits. The total mission duration was 8 days, 6 hours, 28 minutes, 15 seconds. 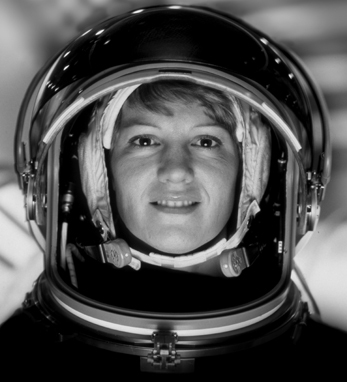 Eileen Collins was born at Elmira, New York, 19 November 1956, a daughter of Irish immigrants to the United States of America. She graduated from high school in 1974 then attended Corning Community College, Corning, New York, where she earned an associate’s degree in Mathematics and Science, 1976. She went on to Syracuse University at Syracuse, New York, graduating in 1978 with a Bachelor of Arts (B.A.) degree in math and exonomics. 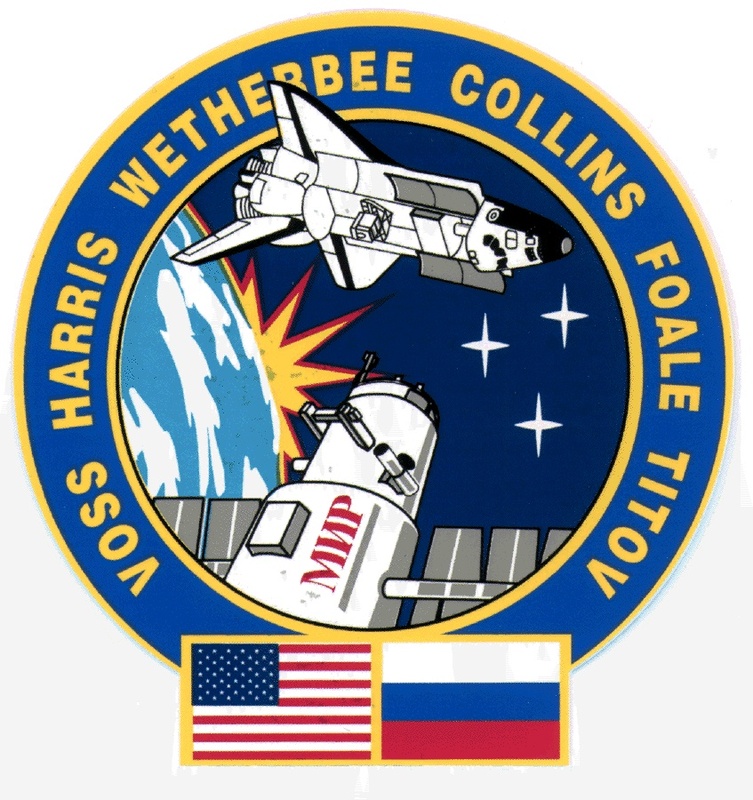 In 1986 Collins earned a master of science degree in Operations Research from Stanford University, and three years later, received a second master’s degree in Space Systems Management from Webster University. 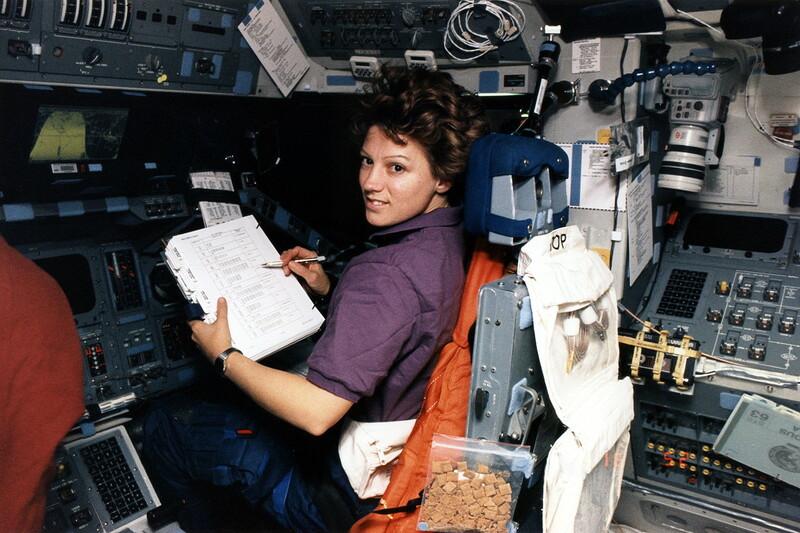 Eileen Collins had expressed an interest in aviation and space flight from an early age. After graduating from Syracuse University, she was one of four women selected to attend U.S. Air Force pilot training at Vance Air Force Base, Oklahoma. 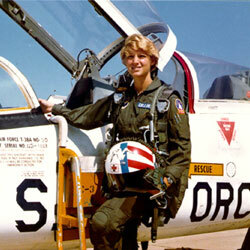 She graduated in 1979, earning her pilot’s wings and was commissioned as a second lieutenant. 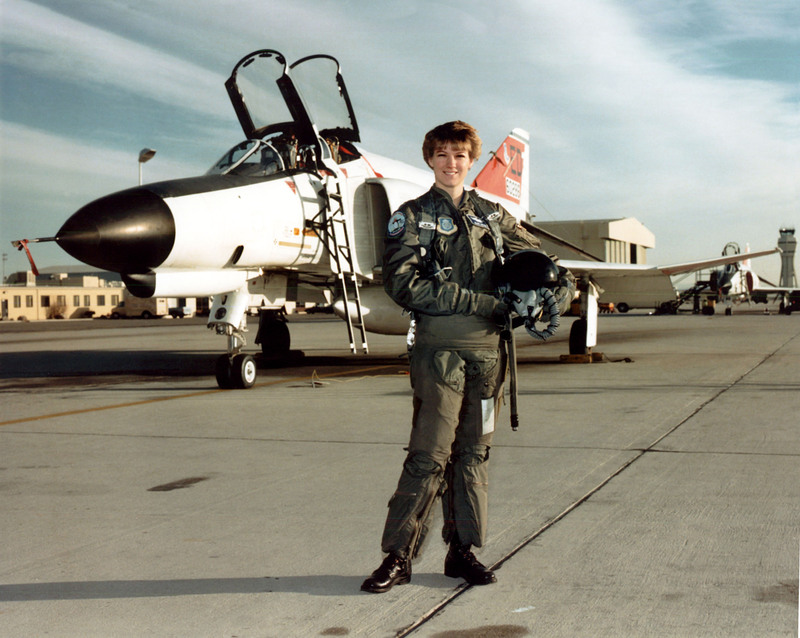 She remained at Vance AFB as a pilot instructor, flying the Northrop T-38A Talon supersonic trainer. Collins was next sent for pilot transition training in the Lockheed C-141 Starlifter, a four-engine transport. She served as a pilot at Travis Air Force Base, California. From 1986–1989, Captain Collins was assigned as Assistant Professor in Mathematics at the U.S. Air Force Academy, Colorado Springs, Colorado. Next, she became only the second woman to attend the Air Force Test Pilot School at Edwards Air Force Base, graduating with Class 89B. 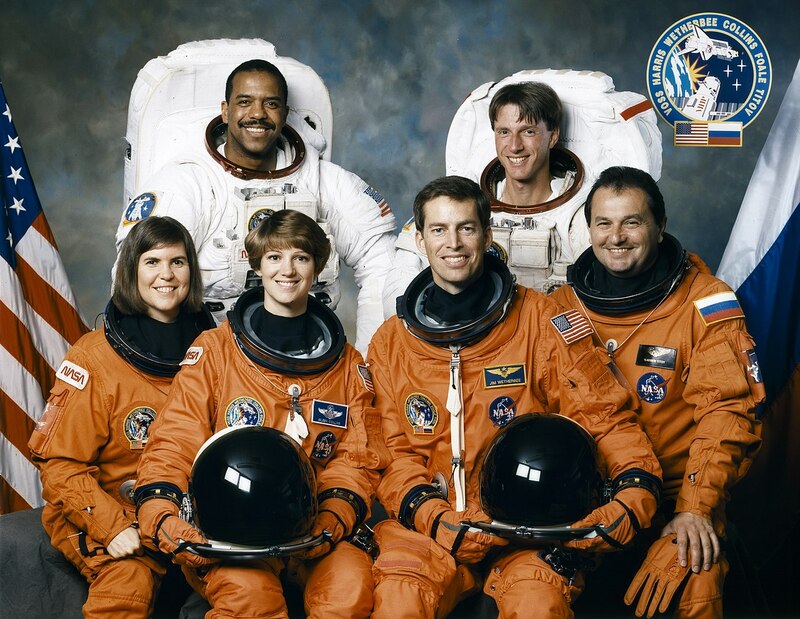 In 1990, Major Collins was accepted for the NASA astronaut program, and was selected as an astronaut in 1992. Eileen Marie Collins was awarded the Harmon Trophy for her flight aboard Discovery (STS-63). In 1997, she flew as pilot for Atlantis (STS-84). She commanded Columbia (STS-93) in 1999, and Discovery (STS-114) in 2005. Colonel Collins retired from the Air Force in January 2005, and from NASA in May 2006. With a remarkable record of four shuttle flights, she has logged 38 days, 8 hours, 10 minutes of space flight. During her career, she flew more than 30 aircraft types, and logged a total of 6,751 hours.